Fifty to Infinity is a custom rug program by Nourison that utilizes the very best in woven broadloom rugs. Each rug is made to order from premium woven broadloom carpeting and serged on the edges for a nice, finished look. Production time takes 7 to 10 business days. 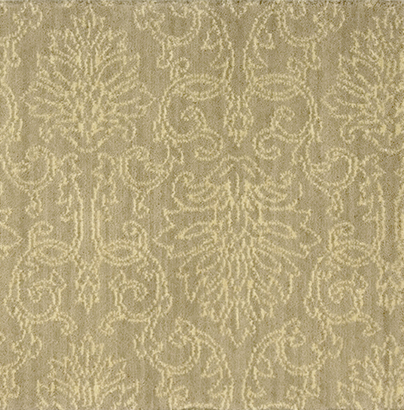 The Illuminations collection features damask prints and solids in warm neutral colors with a textured antique abrash effect. Per our return policy, custom made products are not returnable.